Imagine how it would feel if the words on this page looked like nothing more than a jumble of letters. Imagine – if only for a moment – living your life with the inability to read beyond the level of a fourth grader. Just imagine not being able to read to your own child. A project of the Jewish Community Relations Council (JCRC), which serves as its institutional home, Bookstock marks its 14th year generating more than a million dollars in proceeds to benefit reading programs in schools and adult educational projects throughout the city of Detroit as well as Wayne and Oakland Counties. 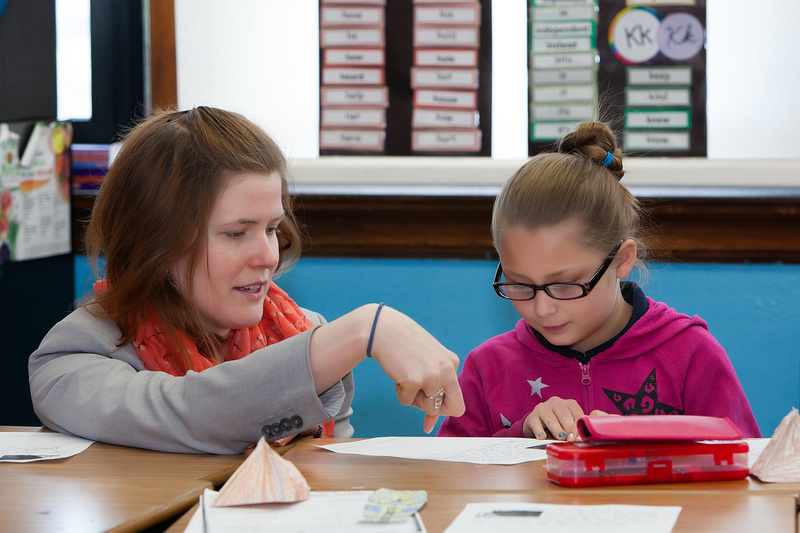 Noting improved reading skills in 3rd graders, Kaity Nicastri, Community School Site Coordinator at Bennett Elementary School, (featured above), works as a liaison with JDLC to set a regular schedule for tutors two days a week. As you browse through Bookstock for your pleasure in May, note that the one of many projects, which your purchase supports, is JCRC’s work on behalf of literacy – work that goes on year-round throughout the community. Literally, tons of books are collected, sorted and sold each year, thanks to more than 800 volunteers who work together to organize and staff the sale. After the sale each year, charities are invited to collect the unsold books and put them back into the hands of readers through their nonprofit organizations. Bookstock’s partner organizations include Akiva Hebrew Day School, B’nai B’rith Youth Organization, Brandeis University, Delta Kappa Gamma, Frankel Jewish Academy, Hadassah-Greater Detroit Chapter, Hillel Day School PTO, Jewish Community Center of Metropolitan Detroit, JCRC, Jewish Federation of Metropolitan Detroit Women’s Philanthropy, National Council of Jewish Women, Oakland Literacy Council and ORT America. Now in its 14th year, Bookstock has generated more than a million dollars to benefit reading programs in schools and adult literacy projects. Detroit Jewish Coalition for Literacy (DJCL), a project of JCRC, annually recruits, trains and mobilizes volunteers as tutors for grades K-3 at 40 schools throughout Detroit and Oakland County. 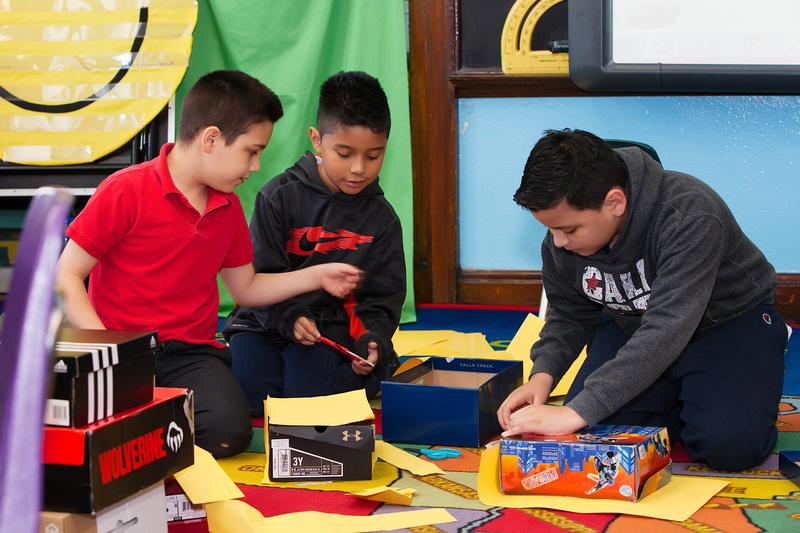 Through Bookstock funding, DJCL has worked with the nonprofit Southwest Solutions to establish tutoring partnerships with Bennett, Durfee and Earhart Elementary Schools, as well as many other Detroit Public Schools. Plans are underway to add programs at Harms and Priest Elementary Schools. NCJW, a Bookstock partner, runs a “Back to School Store” each fall. Last year, their Back Pack Project donated nearly 1,000 filled back packs to homeless children. NCJW volunteers also tutor at Coleman E. Young School in Detroit, where they have purchased supplies for the tutors as well as some materials for the library. Launched in 2012, the Bookstock Fund now sponsors a variety of micro-grants to schools, as well as reading programs, book clubs and learning curriculums. With a recent grant to Michigan Reads, Bookstock Funds bought 1,200 copies of the book Annie’s Ghosts: A Journey into a Family Secret so that the students could participate in the program. 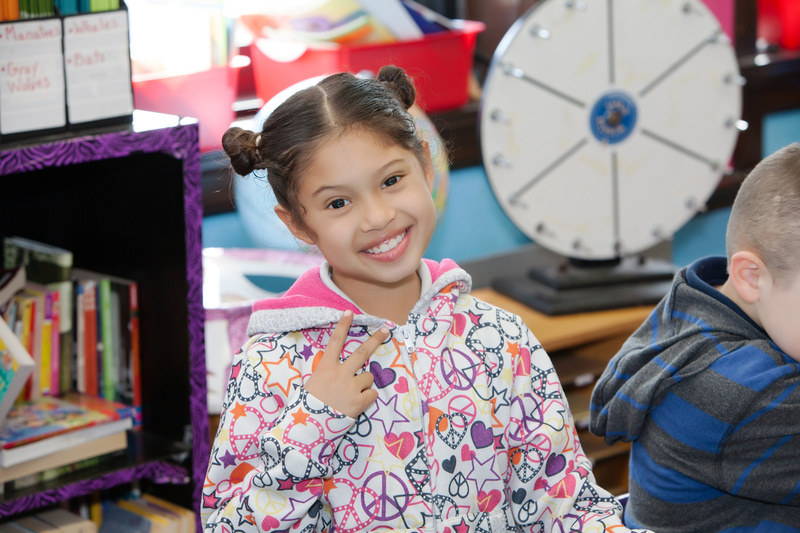 Bennett Elementary serves more than 500 students from pre-K through 5. Walk through the bright blue doors of Bennett Elementary School on Mullane Street and immediately you know what brings volunteer tutors to class each week with their arms filled with books. It’s the kids! Hungry to learn. And the teachers — giving them their all. And the need for all to succeed. 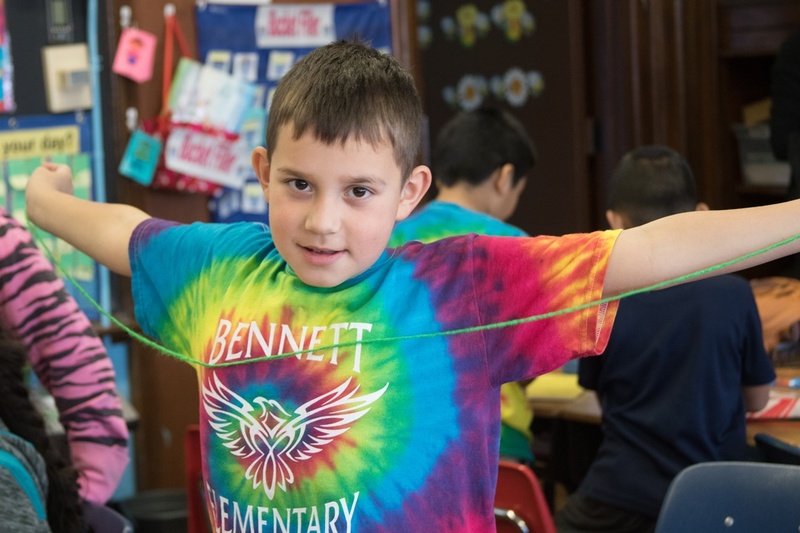 Located in the heart of Springwells Village – a vibrant, culturally rich neighborhood in Southwest Detroit and home to nearly 17,000 residents – Bennett Elementary serves more than 500 students from pre-K through 5. Additionally, the school provides a hub for community activities, ESL tutoring and other adult classes and workshops. 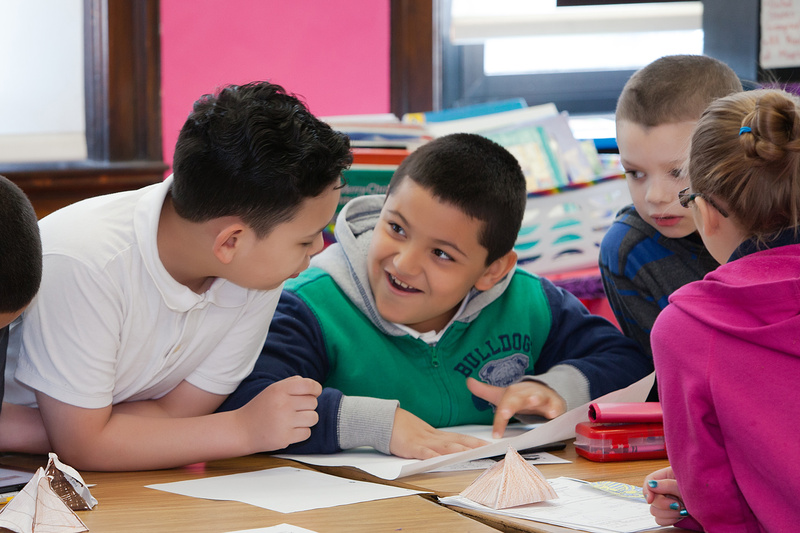 Between 70 and 80 percent of the students at Bennett are fluent in Spanish or Arabic, with English a second language spoken in their homes. For many of these children, learning to read can be a struggle. With the goal to build a bridge between the Jewish community and a close-knit Latino community in Detroit, the DJCL found a perfect match at Bennett through the advice of Ruby Robinson, Supervising Attorney with the Michigan Immigration Rights Center. It’s mid-morning in Mrs. Elizabeth Mohammed’s 3rd grade class and we find her students building pyramids, counting in Arabic, drawing murals depicting ancient Egypt – all in preparation for the school’s Multicultural Fair. 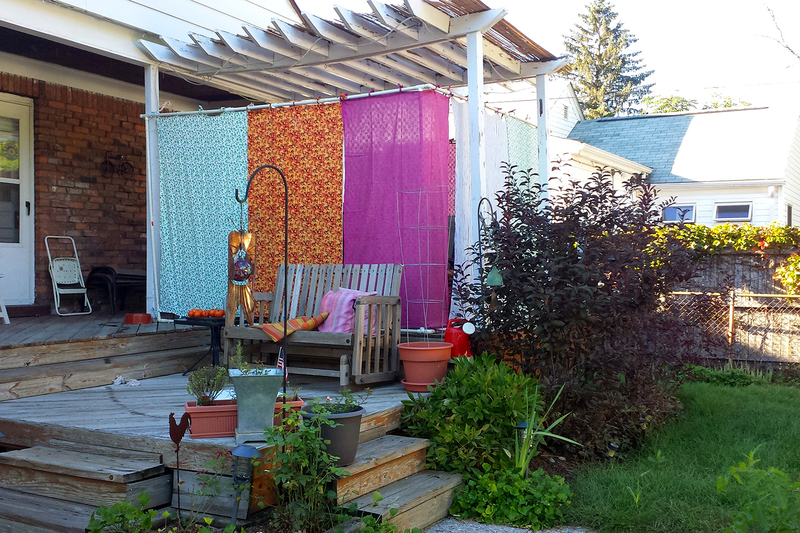 The 3rd grade class next door – wielding paint brushes and cutting yarn – is weaving the story of Ethiopia. In both classrooms, the children are animated, engaged and working beautifully together. It’s easy to fall in love with the children here.